New month, new SRC post! Love and Flour was my assignment this month and there were lots of great recipes to choose from! Ultimately, I decided on what ended up being a big crowd pleaser (mainly for the adults!) at a friend’s BBQ. Hope you enjoy all of this month’s picks! Preheat oven to 350 degrees. Whisk flour and baking soda together. In a mixing bowl, cream butter and sugars together until fluffy. Add egg and vanilla and mix until combined. Stir in dry ingredients and mix. Fold in popcorn (it will break a little bit…it’s okay!) and drop heaping tablespoons onto parchment paper lined baking sheets. Space about 2 inches apart. Bake for 8-12 minutes, until edges are light brown. 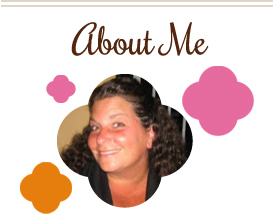 This entry was posted in cookies, dessert, QuickAndEasy, Secret Recipe Club. Bookmark the permalink. I love salty/sweet cookies. I’m pinning this for later. I would’ve never thought to combine popcorn and cookies, but these look delicious! I need to make them soon. I was excited to see these cookies were your pick, and to hear that everyone enjoyed them. I really liked them, so it’s good to know I wasn’t alone in my tastes. I absolutely love the idea to add M&Ms next time! Great pick for this month’s SRC! That looks TOO fun. We are having a movie viewing party soon. I will definitely make those. These look great. I can only imagine the sweet and salty together and I really want to try. Wish I had one right now. I never would have thought to put popcorn into cookies. These look really good. I LOVE sweet and salty! Can you send me a box of these? I love popcorn and never thought to bake with it… I must get adventurous and try this! What a great idea. I love popcorn! Have never tried popcorn in cookies. Interesting! Wow, how creative! 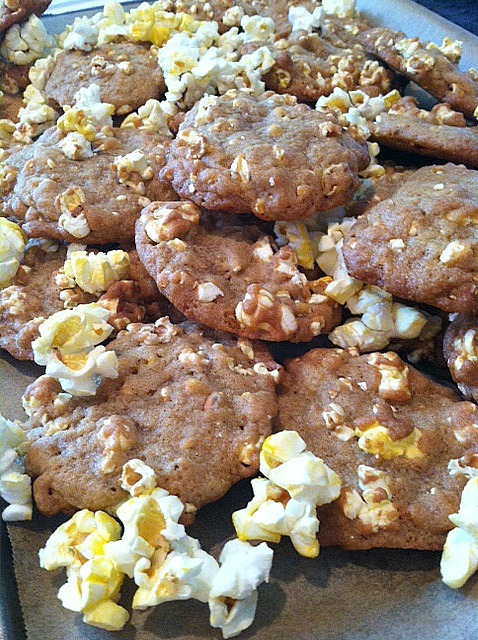 I’ve never seen popcorn in cookies before, but it makes sense since pretzels in desserts are all the rage. Great pick!